The ambassador of the fem.box is Fernanda Brandao is a brasilian singer, actress, moderator and fitness expert that gained popularity in Germany by the pop group “Hot Banditoz”. She also has hadquite some TV appearances here in Germany within the last years. The fem.box advertises not only to be a box for beauty lovers also, but have more versatile components. And I must say the first box really lived up to its claim. The products of the fem.box are packed in a square cardboard box. I really liked the blue and purple aquarell design of the box. It came with a description card and a post card saying “Good mood can be worn with almost everything”. 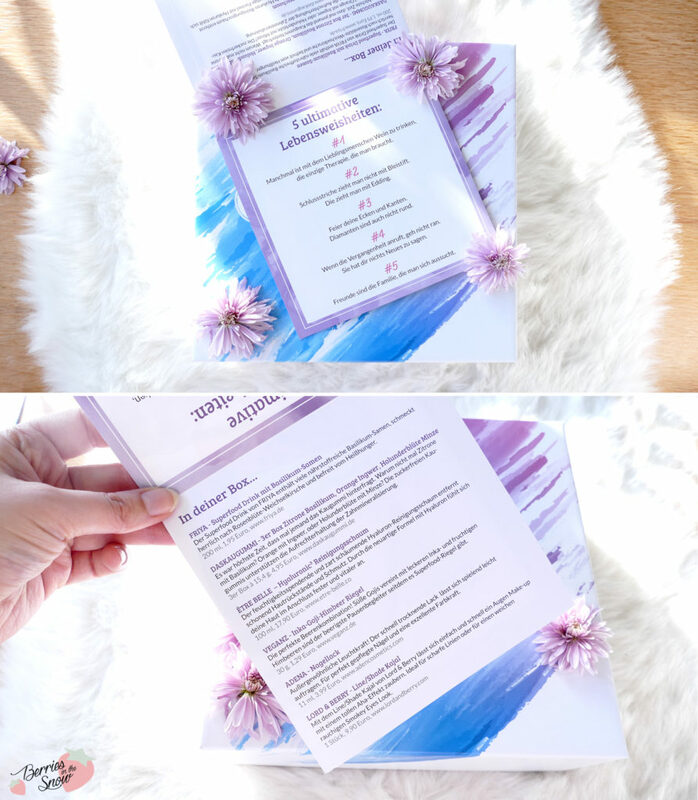 The description card also contains a short description to each product. All in all the January box contained 6 different products. It included makeup, skincare, and healthy food/snacks. This time it didn’t have any products related to fitness (read my review for their launching box >>here<<). Non of the products were known to me, which was a great surprise again. 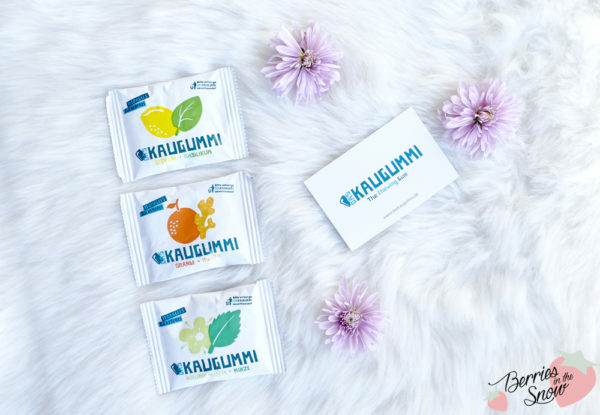 DASKAUGUMMI is a German brand for sugar-free chewing gum in unusual flavours. The box contained three different ones: lemon/basil, organge/ginger, and mint/elderflower. I started trying the mind/elderflower gum and it is really delicious from its flavor. A box of 3 containg 15,4 g retails for 4.95€. 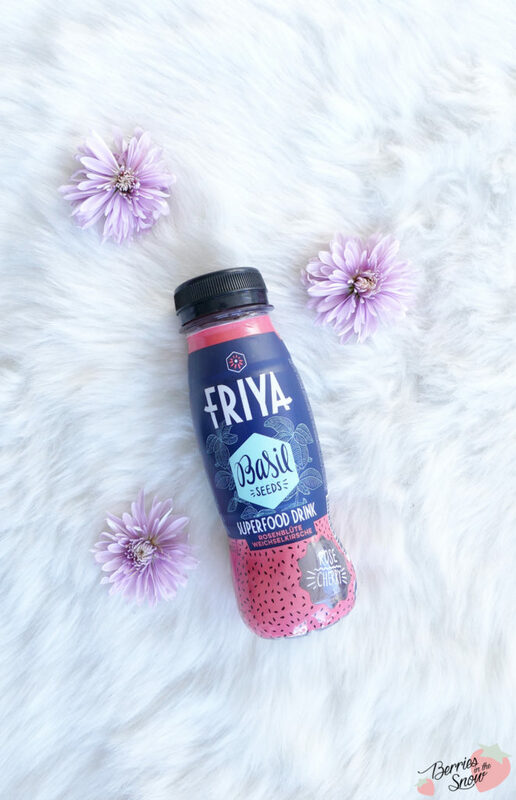 The FRIYA Superfood Drink containing Basil Seeds is probably the most beautifully designed smoothy bottle/drink I came across so far. And Basil Seeds?! Never knew you could eat them…or drink them. They are supposed to be high in nutritions and keep you full/satisfy your cravings for food. The basil seeds are mixed with juice of Rock Cherry and Rose Petals. The taste is unusual and the macerated basil seeds remind me of chia seeds in a chia pudding. A new experience...would love to try other products from FRIYA. 200 ml retail for 1.95€. 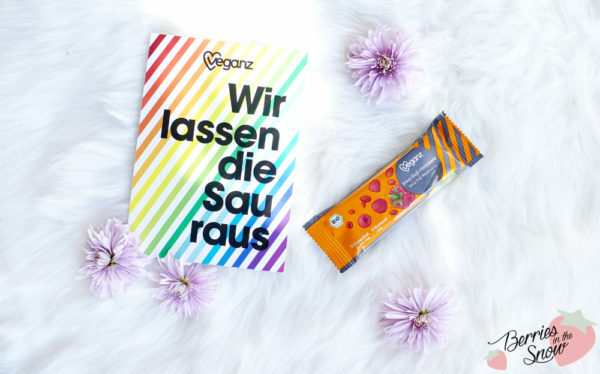 VEGANZ is one of the most well known brand for vegan products in Germany. I saw these superfood bars at the super market but never tried them. Here we have the Inka-Goji-Raspberry bar. Never heard of Inka berries before, but tried Goji berries already. And Raspberries are one of my favorites. I’m always open for bars like that because they are great for an inbetween snack during my way to work. I put this in my backpack for next week. 30g retail for 1.29 €. 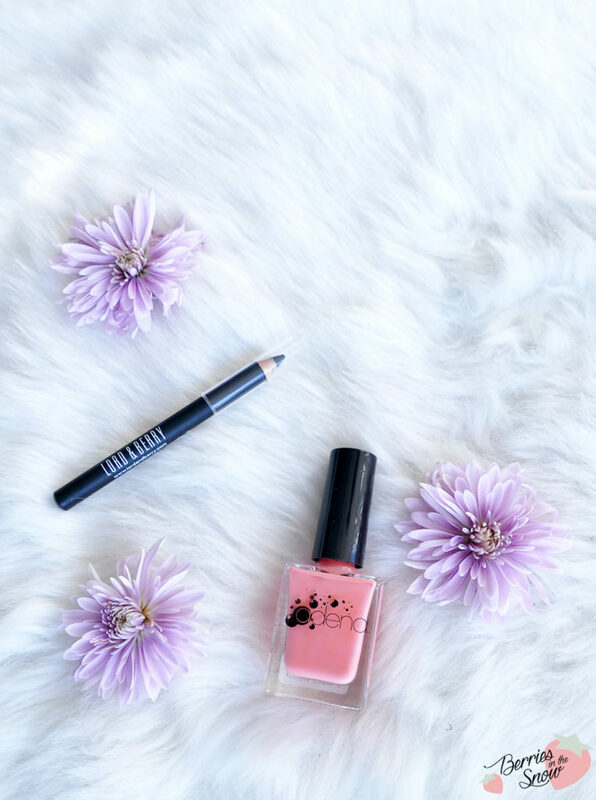 I received the ADENA nail polish in shade 77, a bright flamingo-pink color. And also while applying this nail polish the color keeps the bright shade you see in the bottle. It is almost opaque in one layer , too. It is quickly drying, too. So far I really like it, but I cannot say how long-lasting it is, yet. The bottle of nail polish contains 11 g and retails for 3.99€. This Pencil eyeliner and shader from LORD & BERRY is designed for creating a sharp eyeliner, but can also be smudged out for smokey eye look. 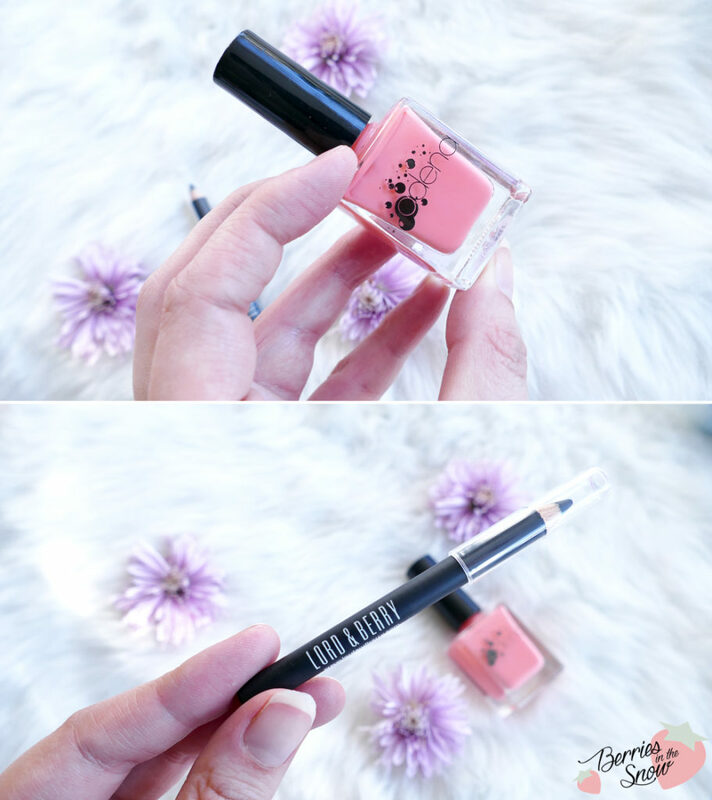 The pencil glides smoothly over the skin and has a nice consitency. It can be blended out well, too. One of these rather short pencil liners retails for 9.90€. 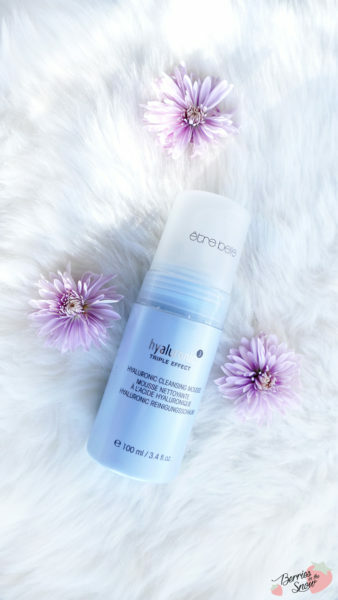 The product I’m most excited about is the ÊTRE BELLE Hyaluronic Cleansing Foam. As the name says it contains Hyaluronic Acid for providing the skin with moisture. It comes in a pump bottle, that releases the product as ready-to-use mousse-foam. I didn’t try it yet, but I want to review it after I used it. The bottle contains 100 ml and retails for 17.90€. The selection of the products was quite versatile as you see. 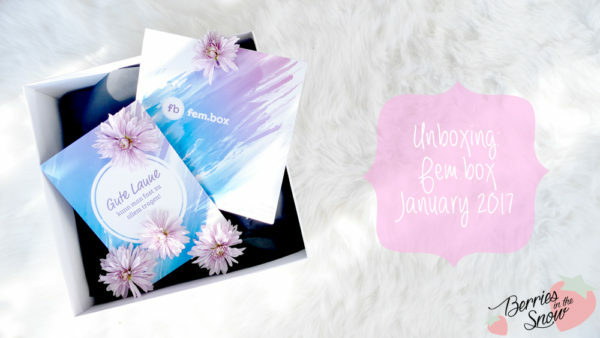 All in all, the fem.box January 2017 contained some interesting products! There were not as many items as in their release box, but still the combination was versatile. The price of 19.95€ per box/month is okay, considering the retail value of the products. The subscription of the box can be quit every month and the shipping costs are included in the price. The box only ships to Germany at the moment, but since it has launched newly who knows what the future brings to us! 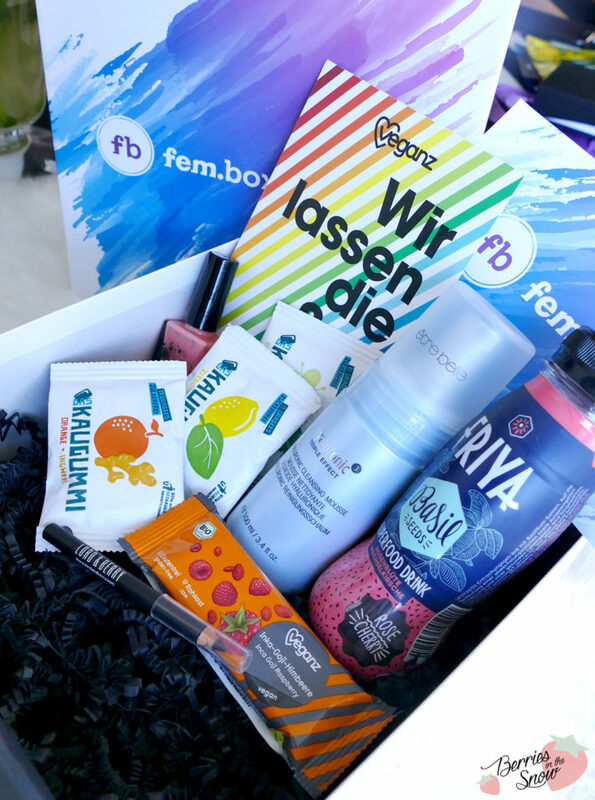 How do you like this months Fembox? Just as a short reminder: All products mentioned and reviewed on this blog are of my personal opinions. 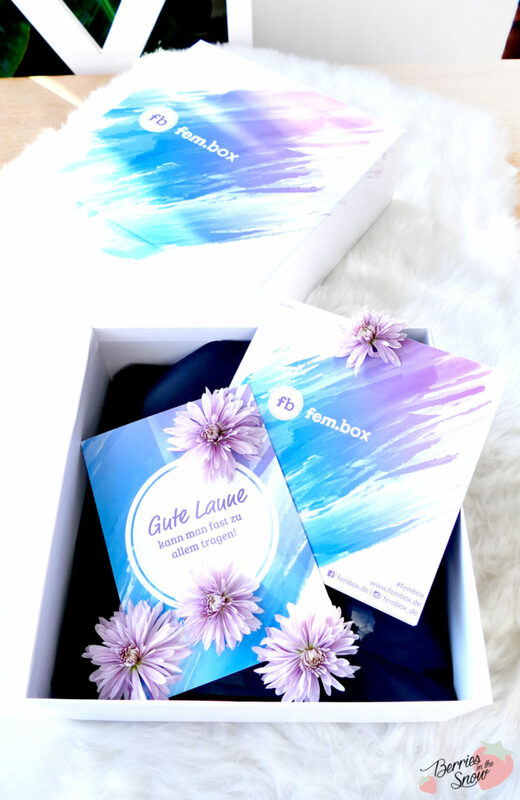 This product here was sent to me for reviewing purpose by https://fit.fembox.de which doesn’t influence me in providing my honest opinion on the products. Cute. My wife has it too. Muss ich mir mal ansehen diese monatliche Box. Sehr interessante Produkte beinhält deine Box Süße. Ich hatte noch nie eine Fem Box. Ich finde sie aber total süß.